← Russia To TV Watchers: Throw Away Those Old Antennas! This is Breaking News of the highest order! Yesterday (Thursday October 11), the Patriarch of Constantinople (almost) recognized the Ukrainian Banderite Church as the legitimate tomos of Ukraine. (Well, technically, Bartholomew just “Removed the Anathema“, but that’s Step #1.) For those who are keeping score out there in The Great Game, this marks a geopolitical defeat for Russia, and a win for NATO. But, as Sophocles used to say, “The game ain’t over until the Fat Lady sings.” So keep your cool, keep your popcorn on hand, and follow this story, along with me! 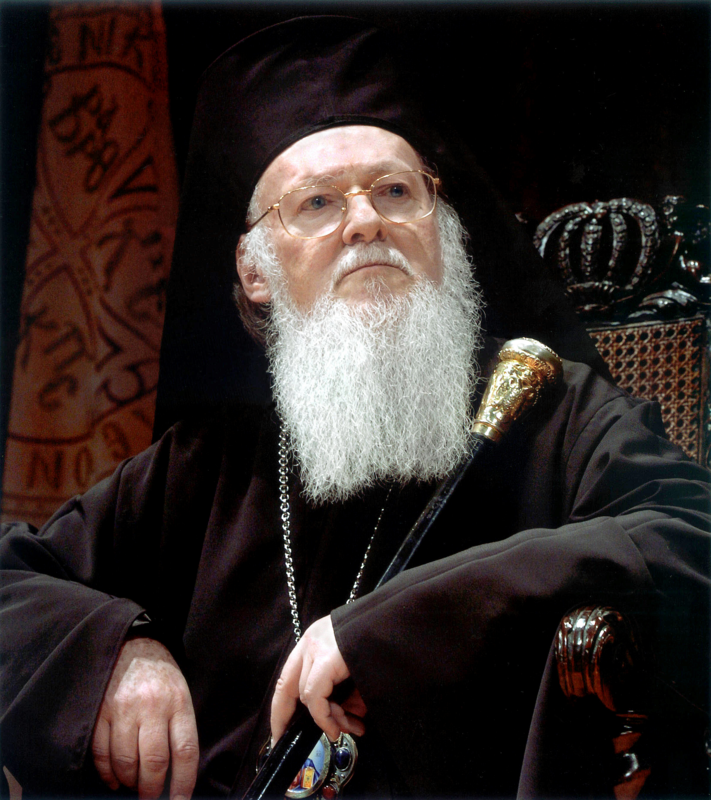 I don’t have time here to review the backstory, and the Greek etymologies of words like tomos and Autocephaly, etc., but if you are hungry to learn more, then you can read these former posts in which I explain these concepts and introduce some of the main players, such as Bartholomew, Filaret, etc. For now though let us rush to THE BREAKING NEWS!!! and I selected this piece by Mikhail Moshkin to dish up the latest developments. Moshkin’s headline reads: “Constantinople Recognizes Ukrainian Schismatics According to the Banderite Scheme”. Remember, people: the key player here is Bartholomew of Constantinople. He is a Patriarch, just like Kirill of Moscow is a Patriarch. But for some reason, Bartholomew is considered primus inter pares (“the first among equals”). Now, in the Catholic Church, you always know who the big cheese is: It’s the Pope. Nobody disputes his infallibility. What he says, goes. In the Orthodox world, inherited from Byzantium, it’s slightly less authoritarian than that. See, all Patriarchs are created equal, but some are more equal than others. Which is why Father Bart is called the “Universal” or “Ecumenical” Patriarch. Now, on the surface, Bart doesn’t look any different from the others: He has a long white beard, a robe and cap, and likes to show off his bling (’cause, see, Jesus always favored people who had a lot of jewels and wealth). Now, apparently there is some kind of loophole within the Orthodox Company Policy Manual, by which Father Bart can, from time to time, seize power and take on more authority almost like a Catholic Pope. Even though, realistically, his actual church is very tiny and situated within a Muslim country (=Turkey). Whereas the Russian branch is huge and has millions of followers. It’s all about some obscure doctrine or loophole from the distant past. Moshkin interviewed a religious scholar named Maxim Klimenko who attempted to explain the loophole. Recall that in early Christianity (before the split into West and East), there was a Pope who enjoyed quite a lot of authority. According to Orthodox dogma, when Rome #1 (in Rome, Italy) fell, and legitimacy passed to Rome #2 (in Constantinople), the Pope in Constantinople inherited the same powers and legitimacy as the Pope used to have when he was in Rome #1. Got that? So, technically, he who sits in the seat in Constantinople is actually The Real Pope, along with all the powers, short of infallibility (which was a later invention in the West). 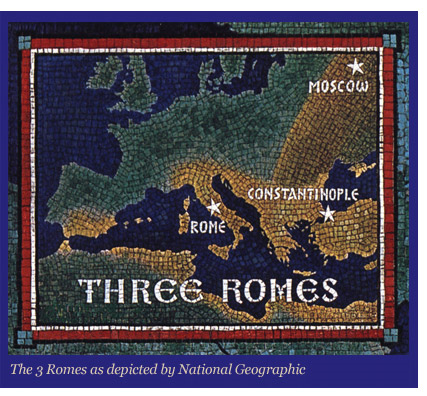 It goes without saying, that Russia does not accept this view of historical legitimacy, since Moscow believes itself to be Rome #3. Making Constantinople just another failed backwater. However, as Klimenko concedes, it was out of respect for Rome #2’s former position that the Constantinople Patriarch came to be viewed as a type of Supreme Arbitrator of religious disputes. “For example, when serious charges were alleged against the Jerusalem Patriarch Irinei, or when there were disputes about the elections held in the Cyprus Church,” then people would turn to Constantinople to arbitrate. Klimenko concedes that Bartholomew does, in fact, as a matter of tradition, have the right to remove an anathema laid upon a local branch. In this case, the Ukrainian Schismatic branch. So, technically, this is what happened: Constantinople sat for a synod for two days preceding Thursday’s shock announcement. Despite the nay-saying of William Butler Yeats, Byzantium became Some Country For Old Men during those fateful days. The participants were all old men wearing long black robes and sporting identical long white beards. These old men all looked so much alike, that they couldn’t even tell each other apart, and had to wear name tags. But at the end of the day they made this earth-shattering decision to “Remove the Anathema” from the Ukrainian Schismatics. Which means that Schismatic Filaret of Kiev, along with his sidekick, Pretender Macarius [who he? ], have had their Anathemas removed, which sounds like a painful medical procedure. Which means they will be allowed the supreme joy of being accepted into the glorious presence of Bartholomew of Byzantium. Removal of their Anathemas has restored their Communicative Faculties. But in what capacity, Klimenko asks? Surely not as a Patriarch or even Metropolitan? Shirley not. Perhaps they will be allowed to live out their lives as non-heretical Monks or Bishops? Well, it’s too early to tell, but Ukrainian President Poroshenko has already gone va-Bank, gloating his guts out and declaring that his guy Filaret is The Big Cheese now. “Who’s the heretic now, Moscow? !” Recall that Filaret is the blood-thirsty dude who wanted the people of Donbass to shed blood for their “sin” of voting in a referendum. And now this murderous Banderite will be the head of the Ukrainian Orthodox Church? The pro-Russians out there in the blogosphere are hoping against hope that “this is just another case of Porky over-reaching himself, in the lead-up to the elections” — but I’m not so sure. These are the same wishful-thinkers who hoped that Putin had cut a deal with Erdoğan: Idlib in return for clipping Bartholomew’s wings! In other words, this could be a serious loss for Russia; and a real coup for the geopolitical “geniuses” of NATO. 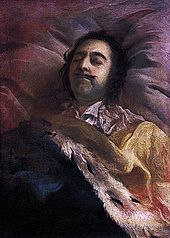 And maybe even payback for Turkey, still simmering in resentment for its loss of Azov to Peter the Great! This entry was posted in Breaking News, Religion, The Great Game and tagged Filaret, Macarius, Patriarch Bartholomew. Bookmark the permalink. I would be careful if I were them; the usual knee-jerk impulse of Ukraine to stick its thumb in Russia’s eye for the purposes of short-term prancing and rejoicing could do serious damage to the church. And it’s probably that the west – overwhelmingly Christian – counts on and avidly encourages. Churches are wealthy. Church revenues are untaxed, and come from various sources. The wealthier a church is, the better able it is to spread and consolidate its influence. 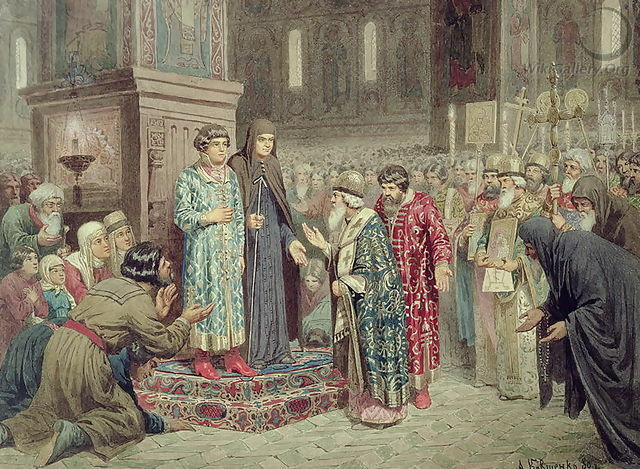 So let’s take a look at what might be an immediate effect of granting Ukraine the right to its own independent church – the possibility that the Russian Orthodox church might withdraw from Constantinople. Ukraine is broke, living on handouts. Its foreign exchange reserves were down to $16 Billion in September and steadily falling, and by that measure its pretensions to economic growth are all just window-dressing – if Ukraine has money, it definitely is not using it to replenish its foreign cash reserves. Those were wiped out completely by the Glorious Maidan. The reserves started to fall around the end of 2011, disappeared in 2015, and then began to shakily rebound. But they never reached half of their 2011 peak, and tipped over into decline again in the third quarter of 2017. Ukraine has no money. The income of the Russian Orthodox Church is speculatively assessed to be about $75 Million, based on Federal Tax service information from 2014. Once again, the church’s income is untaxed, but they still apparently keep records. The Russian Orthodox Church receives income from sponsorship donations, diocese contributions, church furniture and candles, icons and various religious paraphernalia…and commercial enterprises. The Moscow patriarchate owns two hotels – the Universitetskaya and Danilovskaya – and is reportedly a co-founder of BMW Rusland. Did I mention Ukraine is dirt-poor? Think it over, Bart. Your decision just might mean a lot less bling for you. In other words, this whole business about the Ukrainian Orthodox Church becoming “autocephalous” is less about poking the Moscow Patriarch (and by extension, the Kremlin) in the eye and more about Poroshenko and his government seizing any and all properties belonging to the Church and the Russian Orthodox Church in Ukraine, and selling them off. Good pick-up, Mark. Mark is a cynic. To him, everything is about cold cash. Whereas the rest of us care about spiritual values as well. If I understood correctly, the Ukrainian Orthodox Church (the current one, of the Moscow ¨Patriarchate) is not even the one which requested this schism and does not support this call. The Metropolitan of Kiev and All Ukraine Onufriy opposes it. and It’s a completely separate church that is requesting that, a church that was previously (before the decision of October 11th) not recognized by the Orthodox community. So can both Churches coexist? Is is really a schism or does the current UOC continues under the Moscow Patriarchate while the “separate” Church (UOC-KP) continues on its way as it has always been:separate? Or does the decision imply that the UOC too is affected? (1) the “canonical” one subordinate to the Moscow Patriarchate. It is led by Metropolitan Onufriy (real name = Orest Volodimirovich Berezovsky), who remains loyal to Moscow and opposes the removal of anathema from Filaret. (3) the Autocephalic church itself, which is a separate entity, and, if I am not mistaken, they are Uniates, in other words, Catholics. So, what happens next, is that there will be a religious war, and Filaret’s goons will try to take over the Kiev-Pecherskaya Lavra. Meanwhile, Moscow refuses to recognize Bartholomew’s decision. Meanwhile, President Porky is practically salivating in anticipation of the religious repressions to follow. His government ministers are already talking eagerly about repressing the “Muscovite” believers. Russia has warned that they will not tolerate repressions of Ukrainian “legitimate” Orthodox Believers. But, channeling Karl, one has to wonder, exactly what Russia plan to do about this, since the EU will no doubt be on board with any religious repressions. More to follow on this story tomorrow. The UAOC are not Uniates – yet – though a few of their priests have abandoned all pretense and switched to the Greek Catholic outfit. They were briefly united with Denisenko’s followers in the 90s, but that didn’t work out. I doubt Russia will need to do anything as it is my understanding that most Ukrainian Orthodox believers follow the “canonical” church as you call it, so I am not sure they can be repressed. Poroshenko will try, but I don’t think it will withstand in the long term. In this way, East vs. West in Ukraine was easier to achieve since it’s about separating two territories which were each strongly either pro-West/EU or not (the divide was clear for example in the votes distribution when it was Yanukovich vs. Timoschenko), while orthodox believers are everywhere in the country. I hope as you said in your post that it is just a temporary flare-up from Poroshenko to get re-elected. The situation in Ukraine is disastrous enough as it is without a religion war. As senior Russian government officials such as Lavrov have pointed out, the USA is foursquare behind this initiative, urging Porky and his fellow piglets on; it provides another blow against Orthodoxy, and may be what it takes to get Russia to take that swing that America is eagerly waiting for. A war fought mostly in Europe and Ukraine, in which Washington is able to dabble to its heart’s content without really risking very much, would be just what the doctor ordered. My understanding is that there is a lot of valuable real estate in play here. The most valuable, of course, being the Kiev-Pecherskaya Lavra. That’s the one with the mummies. But lots of others too. It’s basically a land grab on the part of the Banderites! And yes, Virginia, there WILL be mucho religious repressions. Mosiychuk already promised so.